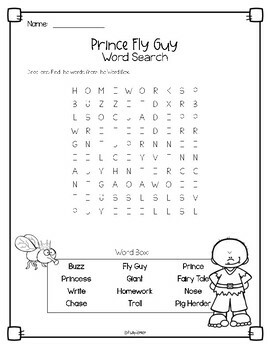 Now includes a word search and character trait pages to accompany the book Prince Fly Guy by Tedd Arnold. 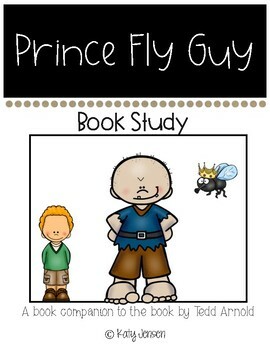 Students LOVE these books! 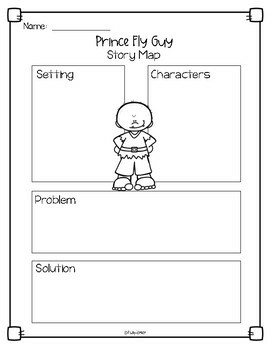 They are a great step into chapter book reading for young readers. Thank you so much for your interest in my store! Be sure to become a follower to receive email notices of new items, sales, and new FREEBIES! 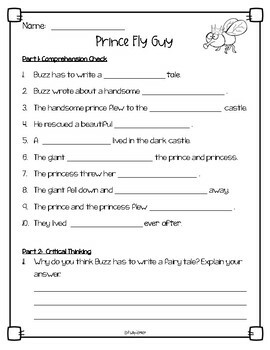 Also, don't forget to earn TpT credits by providing feedback!